30 Dawns and 40 Wraiths will be produced. 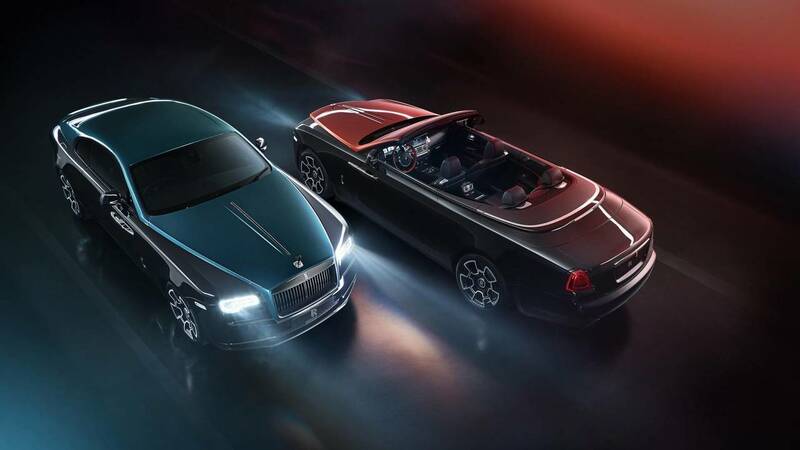 Rolls-Royce has prepared yet another super exclusive special edition series, this time based on the Black Badge editions of the Wraith and Dawn. Celebrating “the darker side of contemporary craftsmanship,” the Adamas Collection is limited to just 40 Black Badge Wraith coupes and 30 Black Badge Dawn convertibles. The new collection is easily distinguishable by the two-tone exterior finish, which is available in either a black-red (Aphrodite Red) or a black-blue (Morpheus Blue) color combinations. Taking the black treatment to a whole new level, the Adamas Collections adds black grille vanes to the already darkened grille surround of the Black Badge series and, for the first time in the history of Rolls-Royce, a Spirit of Ecstasy hood emblem machined from 294 layers of aerospace-grade carbon fiber. Each figure takes 68 hours to produce. 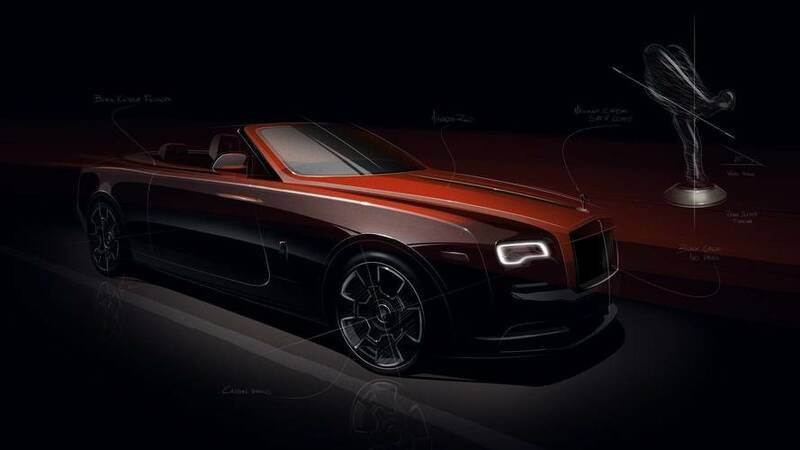 The Bespoke Collective of the House of Rolls-Royce has conceived a darker iteration of Black Badge Wraith and Dawn, presented in a limited Collection, named Adamas. Drawing inspiration from the name, meaning ‘untameable’, ‘invincible’ and also ‘diamond’, the Collective celebrate the darker side of contemporary craftsmanship, expertly weaving a dark aesthetic of unbreakable carbon structures into just 40 Black Badge Wraiths and 30 Black Badge Dawns. Technical fibres and molecular compounds are manipulated and recognised for their systematic, beguiling beauty. On encountering Adamas, one is immediately drawn to the Spirit of Ecstasy, who finds herself taken from the edge of darkness, into the black. She is formed for the first time in history of machined carbon fibre, personifying the very essence of the Collection. The entrancing figure is engineered from 294 layers of aerospace grade carbon fibre, which takes 68 hours to produce with a technical weave angle of precisely 25 degrees. She confidently resides on a specially created titanium base, vapour blasted to adopt a darkened aesthetic, bearing the words ‘BLACK BADGE ADAMAS’, and the infinity logo. One recalls the colours of the first iteration of Rolls-Royce Black Badge. The mandarin orange interior for Dawn and Cobalto Blue interior for Wraith have spread to the exterior; darkened versions of these hues envelop the body in a hypnotic Aphrodite Red over Black and Morpheus Blue over Black two-tone respectively. These are the first two-tone Black Badge cars. These colours, as though touched by darkness, have a deep colour transition, providing a mesmerising iridescent effect. Patrons are able to specify their chosen Adamas in either colourway. Below, black grille vanes are added to the already darkened grille surround of Black Badge, underlying the sinister, untameable nature of Adamas. Stepping inside, one’s eye is drawn to the clock, encrusted with black diamonds. Harnessing the carbon structure in its most explicit form, 88 laboratory-grown diamonds form the Black Badge infinity symbol, providing a jewellery-like reminder of the restless spirits of the inhabitants of these motor cars. Mounted upon a carbon fibre back-plate, the black diamonds are perfectly engineered to deliver exquisite clarity and colour. The face of the clock is embellished with machined aluminium chaplets and a polished aluminium inner bezel, adding dramatic detail to the contrasting white face. Perhaps one of the most captivating expressions of technical craft is the interpretation of the diamond theme on the starlight headliner of Wraith Adamas. 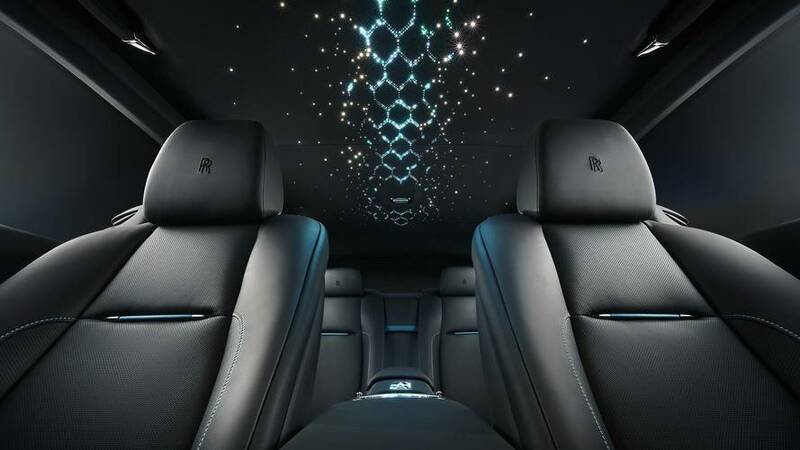 1,340 individual fibre optic lights are configured as though forming the molecular structure of carbon as it becomes a diamond, presenting a motif reminiscent of a powerful spine running through the interior cabin. Available in either hue, co-ordinating perfectly with either colour scheme, the starlight headliner for the first time incorporates graded shading, using varying tones of the chosen colour palette to accentuate the subject. Pearlescent effect leather, a Collection Car debut, echoes the exterior hue. Offset by a two tone steering wheel and accentuated by rich woven black leather on the door panniers and transmission tunnel, the interior celebrates the darker side of luxury craftsmanship in even the smallest of details. The Collection premieres a new dark brushed metal fascia, designed to correspond with the carbon fibre. Cold to the touch, this metal finish flows through the motor car, through both front and rear centre console lids, emphasising the unbreakable strength at the core of Black Badge Adamas. As a final touch, when one enters or alights from the atmospheric cabin of Adamas, one encounters an illuminated tread plate, reading either ‘Black Badge Wraith Adamas – One of Forty’ or ‘Black Badge Dawn Adamas – One of Thirty’, reminding the occupant of the power and precious nature of this Collection. The Rolls-Royce Bespoke Collective, consisting of designers, engineers and craftspeople from the Home of Rolls-Royce in Goodwood, have an innate understanding of the marque’s discerning patrons. Characterised by a desire for more than mere acquisition, a patron of Rolls-Royce, accustomed to luxury in all avenues of their lifestyle, seeks to commission and collect. 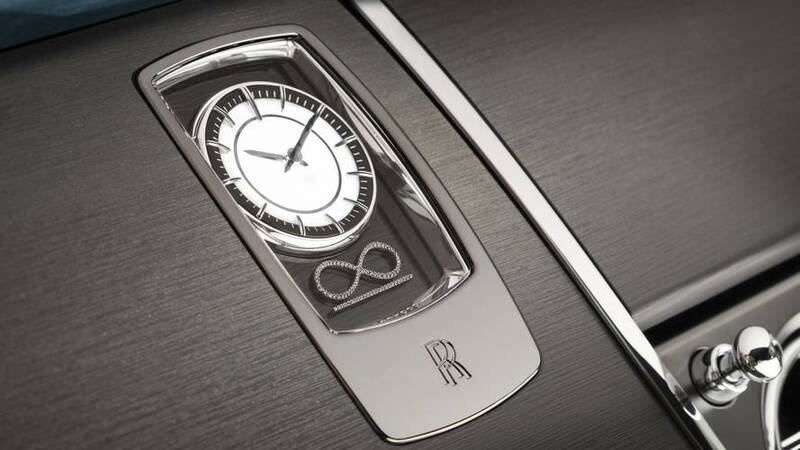 It is at this juncture that there is a meeting of minds with the Rolls-Royce Bespoke Collective, who provides a guiding hand in this commissioning process, imparting its deep understanding of the constitution of true luxury in the process. The Bespoke Collective harness this knowledge to create a limited number of highly Bespoke, rare, collectable motor cars; a Rolls-Royce Collection car. It is for this reason a Rolls-Royce Collection car gains such distinction. Formed at the hands of masters in their fields, a Rolls-Royce Collection car is a showcase of competence, using the finest materials in ways that raise the bar of technical competence to create a stunning masterpiece. Resulting from this deep understanding of its clientele, Rolls-Royce is able to anticipate these customer needs and requirements. 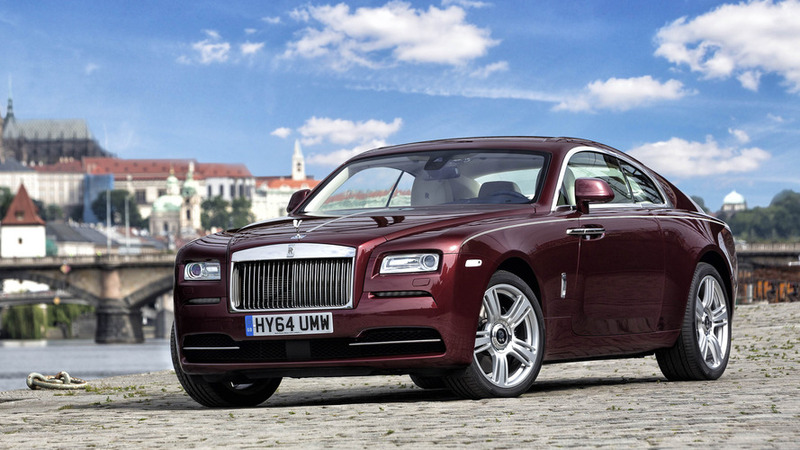 Whether drawn to a motor car steeped in rich heritage, such as the recently announced ‘Silver Ghost Collection’, or a playful adaptation of luxury theatre as revealed in the ‘Wraith Luminary Collection’, or now, embodying the darkest expressions of luxury in the Adamas Collection, the Rolls-Royce Bespoke Collective can rise to the most demanding of challenges.